David Mossop gained a love of photography at an early age from Swiss pianist, mountaineer, and photographer Boris Roubakine. His parents Grant and Ruth Mossop were both professional musicians and helped nurture a deep understanding of great art. Grant, also the director of the Geological Survey of Canada, also fostered a profound appreciation of nature in all its forms – mountains in particular. David graduated with honours from the University of Victoria in Film Studies and Anthropology in 2004, where film professor Brian Hendricks had set the groundwork for David’s artistic filmmaking approach. Since then David has directed and DP’d films of all kind including Nature Docuemantary, Adventure, Giant Screen Cinema experiences, Music videos, Commercials and several Feature-Length films. 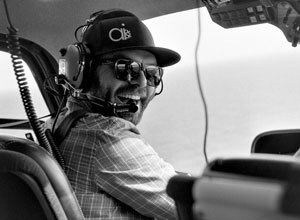 With hundreds of hours of helicopter filming experience, Dave has become one of the most acclaimed Aerial Directors in the industry. He currently resides in Whistler BC.